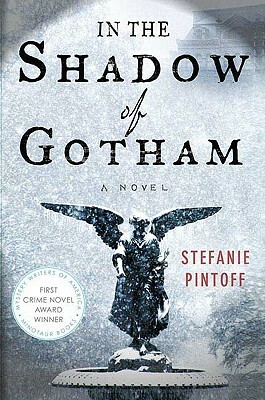 In the Shadow of Gotham is the winner of the 2010 Edgar Award for Best First Novel. Stefanie Pintoff is the author of "A Curtain Falls" and "Secret of the White Rose." "In the Shadow of Gotham" is the winner of the 2010 Edgar Award for Best First Novel and the Washington Irving Book Prize, and she has earned nominations for the Agatha, Anthony and Macavity Awards. She is also a graduate of Columbia University Law School and has a Ph.D. in literature from New York University. Now a full-time writer, she lives with her husband and daughter on Manhattan's Upper West Side. "Stefanie Pintoff captures time and place expertly while displaying the procedures and challenges of police work at the dawn of a new age in forensics in this fine first novel. In The Shadow of Gotham will fascinate and educate even as it holds the reader in the suspense of a good mystery. That's a special package."